A small, niche, boutique micropress making limited edition books of quality. 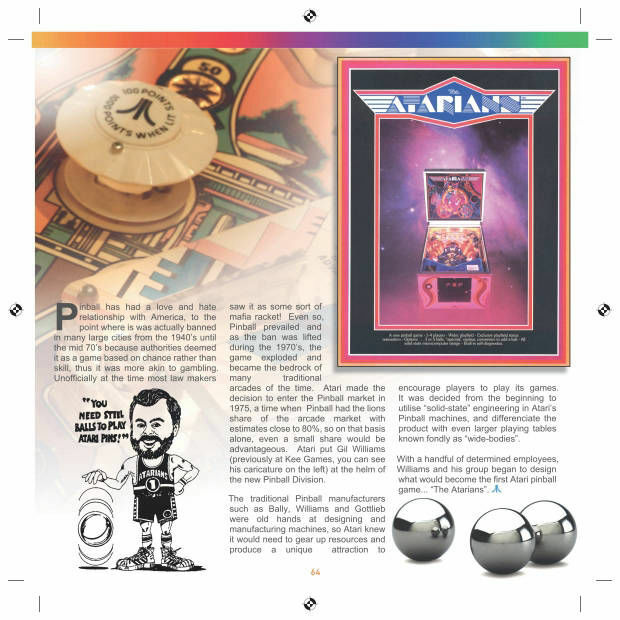 View the Atari story as it unfolds with period advertising and product images, lightly sprinkled with interesting facts and historical snapshots of the Atari story as it happened. 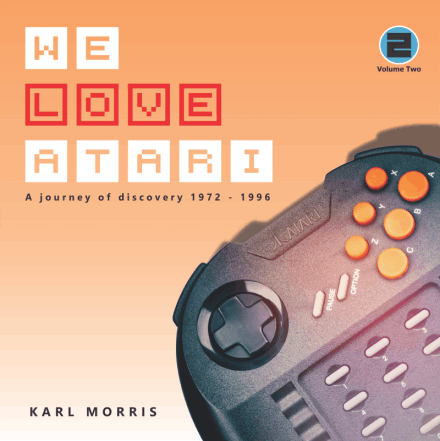 From the very first Pong arcade machine, to Atari's first home computers, "We Love Atari" is a tribute to one of the worlds most iconic companies, loved by millions and still loved today. 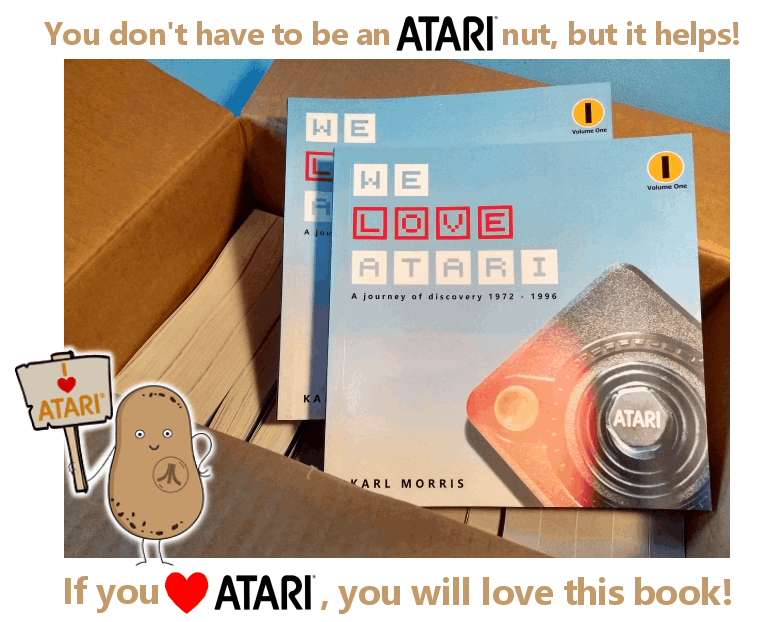 We Love Atari isn't just another book about Atari, it is a packed visual journey of the company you love. Bursting with products from Arcade machines to Home Computers. 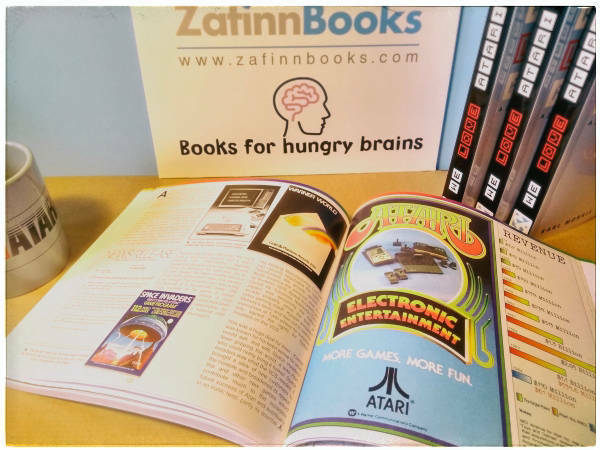 We Love Atari, so we made sure our book represents the best of the company we love. A book you can browse again and again whenever you need your Atari fix! As a THANK YOU, all FIRST EDITIONS come with a sticker and a poster. Limited stock available. 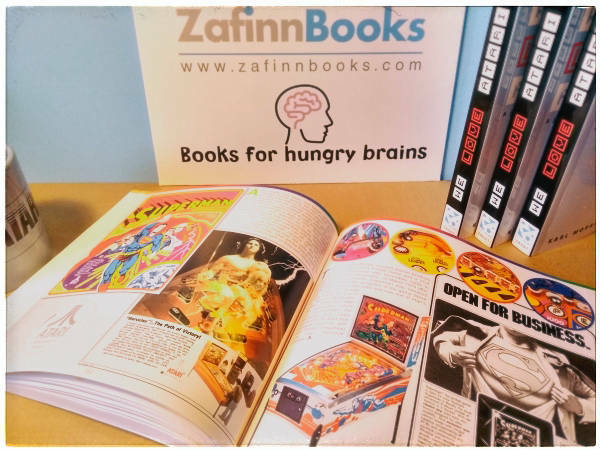 Not just another Atari picture book! 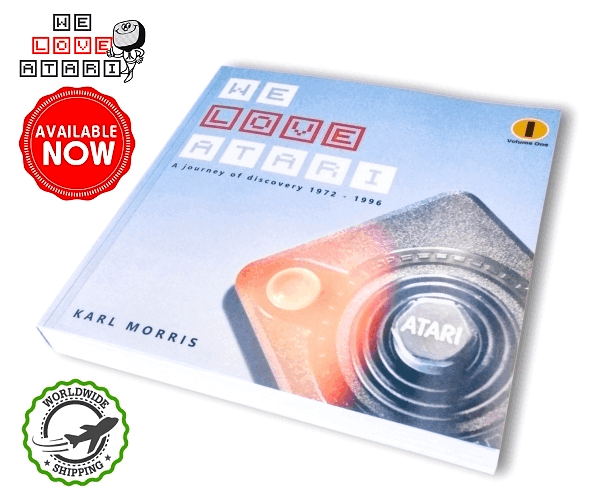 By Karl Morris, co-founder of the Atari Historical Society and true Atari nut! Designed to compliment your knowledge and love of Atari. Made for anybody interested in one of the most exciting electronics companies of the 20th Century. A very limited print run designed and published by the author. 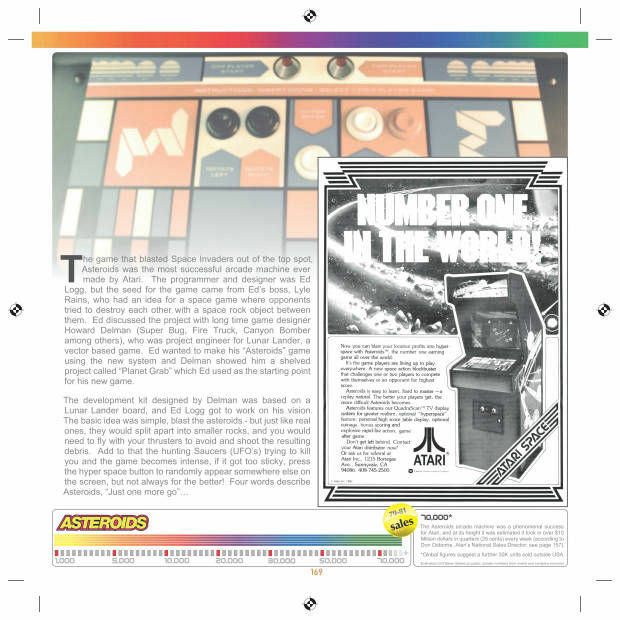 Volume One has hundreds of images from Pong to the 1200XL Home Computer. Some images painstakingly restored from originals over 30-40 years old. 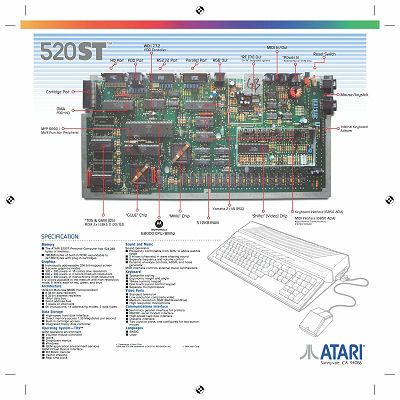 Not just another stale history of Atari, We Love Atari is meant to be an exciting visual experience, but we also added some fun facts and quotes as well as enough historical content to understand Atari as a company. 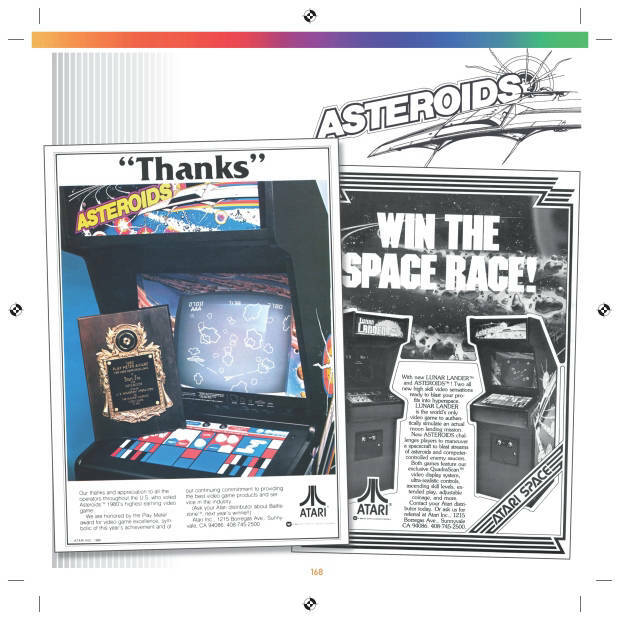 We've listed all commercial Arcade releases along with the official flyers as produced by Atari for their clients back in the day. Atari was built on the foundations of their Arcade success and funded the growth of the company into the late 1970's. 1984 - 1996 Available soon - getting closer every day! Continues with the sale of Atari in 1984 to Jack Tramiel and his desire to rule the computing world. Not only will Vol. 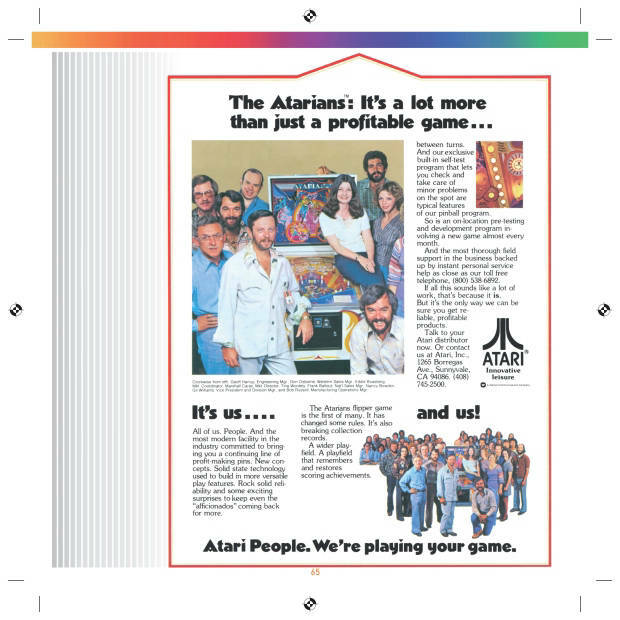 2 cover all of Atari Corps' products from 1984, we will again sprinkle some of the companies global advertising, flyers, prototypes, and a dash of historical perspective to give you as much of Atari as we possibly can. What is in Volume Two? 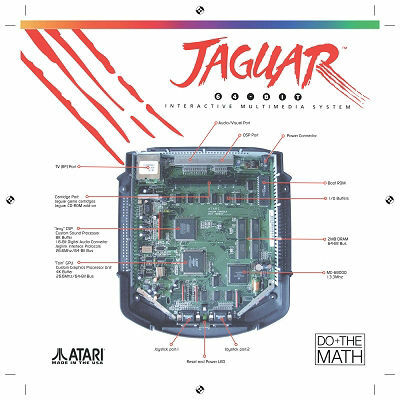 Such as the re-launched 8-Bit line renamed the XE, the introduction of the ground breaking 16-Bit ST computer range, the advanced computers such as the MEGA STE, TT030, Falcon030 and the Transputer Workstation, video game consoles from the 2600Jnr., 7800, Lynx I/II, all the way to the 64-Bit Jaguar and of course Atari PC's, pocket computers, calculators and much more. Mythical tales of enhanced ST's, Junior ST's, Portable ST's and even ST games consoles, there is even an Amiga in here somewhere! 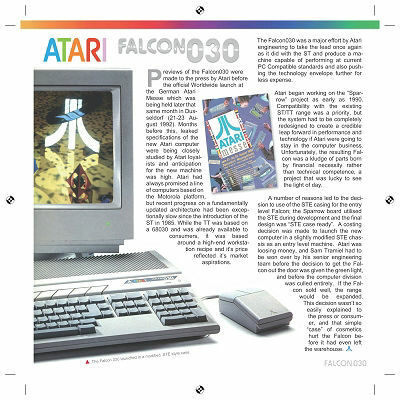 We look at unreleased computers (Falcon 040 & Microbox) and video game consoles (Panther, Mirai) and get a complete picture of the Atari products that could have been. 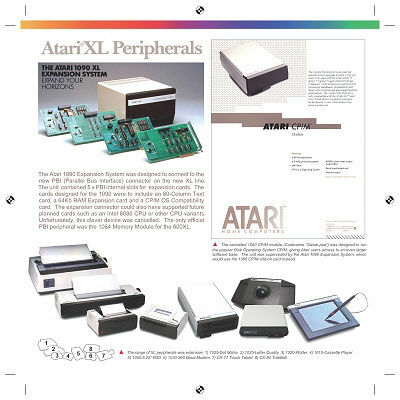 Rare photos, product shots and paperwork, we leave no area of Atari uncovered. 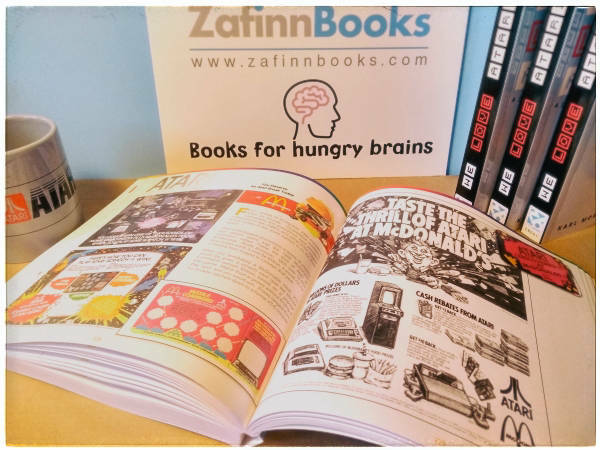 Global advertising, flyers, the amazing underground Atari scene, as well as interesting historical facts and figures for you to digest and examine as we go on the second and last volume of our Atari journey. Its ready to go! We just need to cover production costs from the sale of Volume One, then we will go straight to the printer. Thank you to all our customers to date. 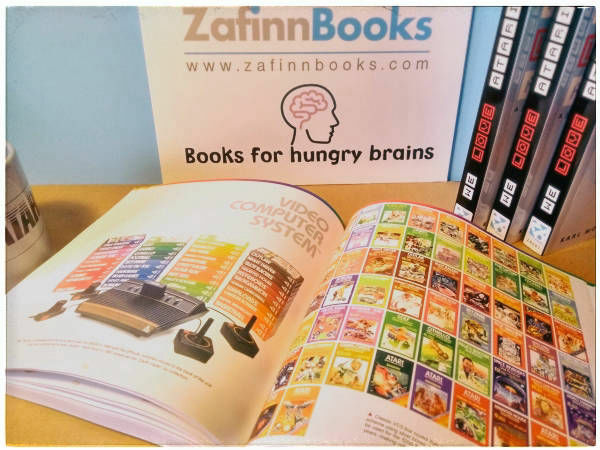 If you would like to know more about Zafinn Books, or have a specific query, please contact us using the form below. We'd love to hear from you. We always try to ensure all information on our website is up-to-date and accurate. E&OE. Online privacy is important to everyone, all our customer data will be stored on an offline computer once details have been processed. All payment details will be processed securely through Paypal. 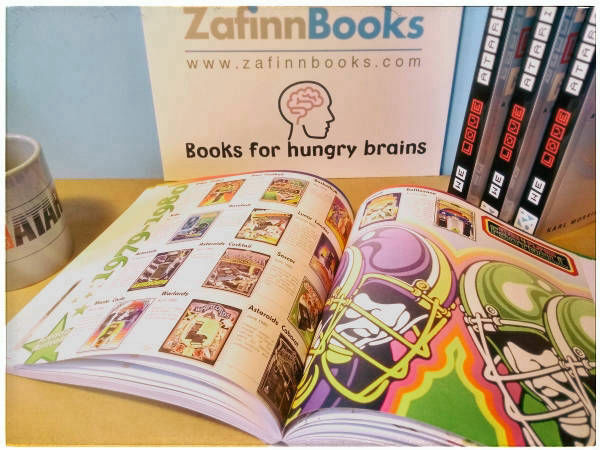 Zafinn Books have no access to your payment details. 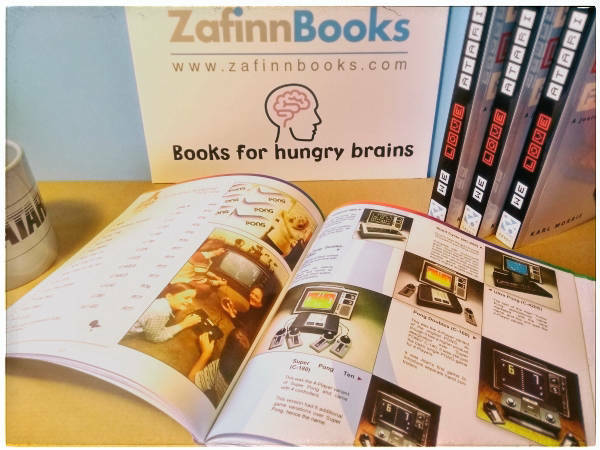 © Copyright 2019 Zafinn Books - Made in IRELAND.